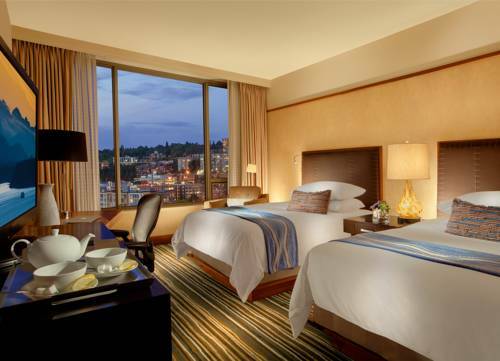 The Pan Pacific Seattle Hotel, a 2008 AAA 4-Diamond award recipient is located minutes from downtown and many area attractions. Presiding over Westlake Avenue in Seattle's South Lake Union neighborhood, it is just steps away from Nordstrom's flagship store. Pan Pacific Seattle offers a prime location in downtown's cultural epicenter. Part of the exclusive 2200 Development, this Seattle hotel features a restaurant / bar, a sumptuous spa, and 160 superbly appointed guest rooms and suites.